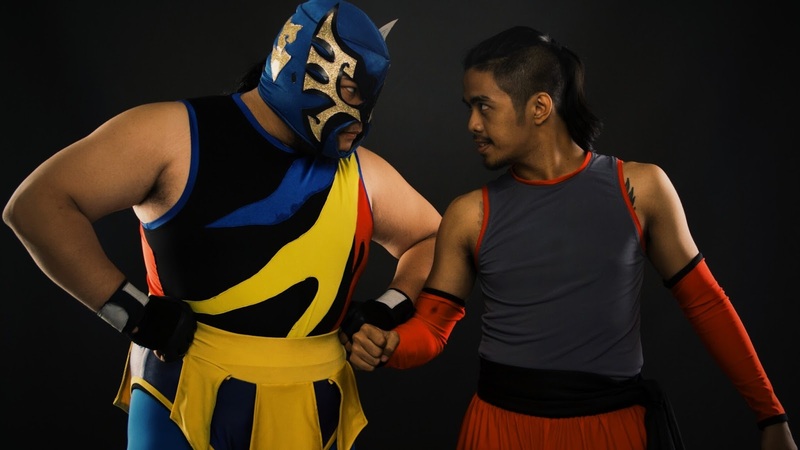 Social media was rumbling with the Manila Wrestling Federation's recent Facebook post announcing a five-match card for their debut show, MWF Live: MWF x MCS, this Saturday, April 8, at the Makati Square Arena along Chino Roces Avenue. 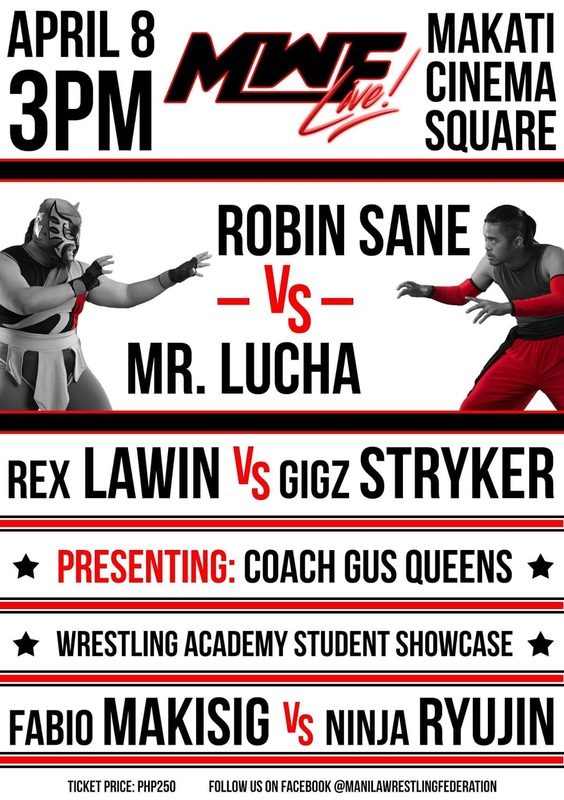 But apart from the Mr. Lucha-Robin Sane main event announced last week, details were lean as to how the upstart promotion would be filling out the rest of the event. But never fear, MWF-ers, we've got exclusive details on the rest of the colourful talent that will be on parade at the formal solo debut of the newest player in the suddenly-booming Filipino pro wrestling scene. There isn't much left to say about this promising main event that hasn't already been talked about before. We do know that it will be contested under MWF's patented Manila Rules format, where the traditional wrestling match is broken down into 10 gruelling rounds. 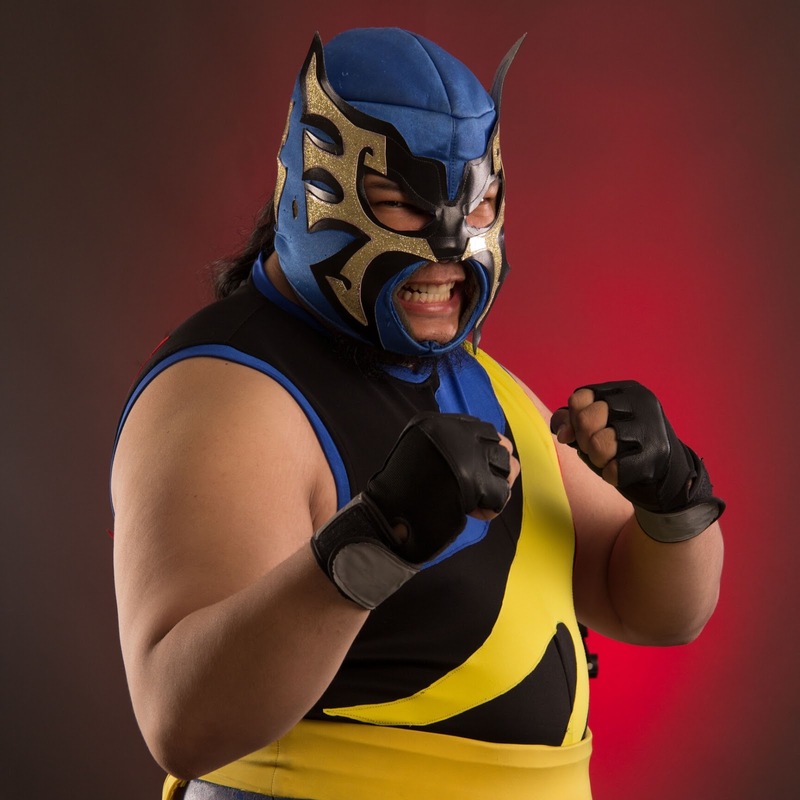 Mr. Lucha is already perhaps the most distinctive member of MWF's young roster, with his rainbow-colored, lucha libra-inspired mask and gear automatically making him the most over-the-top, merchandisable wrestler they've got. Don't let his bulk fool you, he's trained in the nuances of amateur wrestling, and owns an awesome hybrid offense consisting of twirling off-the-rope strikes and powerful slams and suplexes. Perhaps even more importantly, he's made his mark against international-calibre talent, including a stunning upset win over Southeast Asian star The Eurasian Dragon. Robin Sane fashions himself as one of the Philippines' premier daredevils in the ring, owning one of the prettier Swanton Bombs we've seen on the local scene. But he's also one hell of a well-rounded athlete, wielding such moves as the deadly Spider Driver to great effect. Expect this match to go down to the wire, folks, and encapsulate what the MWF product is all about. The controversial trash-talking tricker Fabio Makisig will also be in action this Saturday, going on-on-one with the enigmatic Ninja Ryujin. 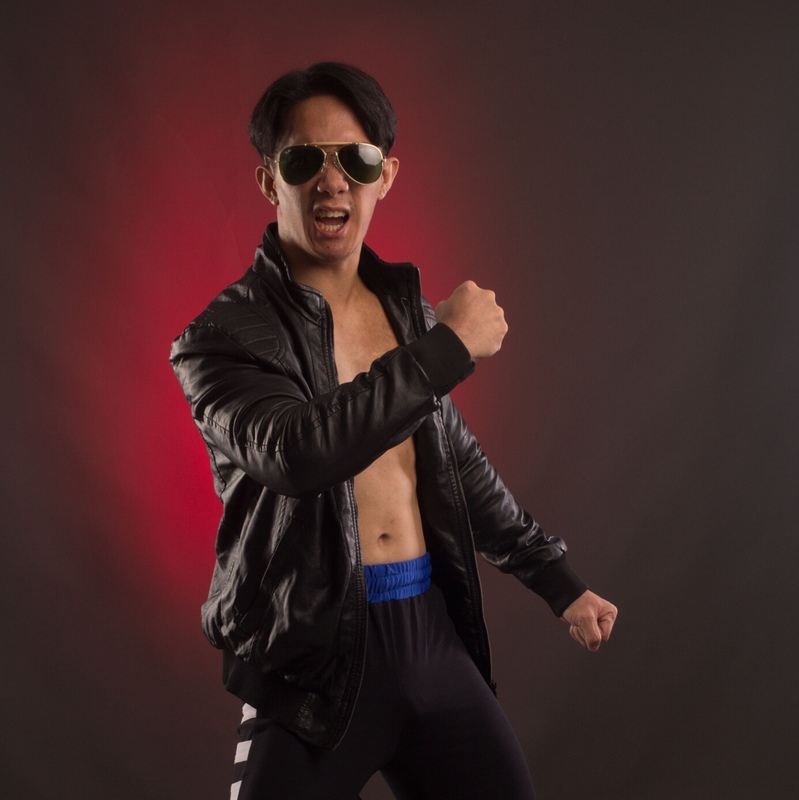 In a few short months, Makisig has already succeeded in stirring up the pot with his brash comments towards the existing Philippine pro wrestling scene, but has the opportunity to prove that he does in fact own the in-ring skills to back up his jacked physique and flamboyant showboating. 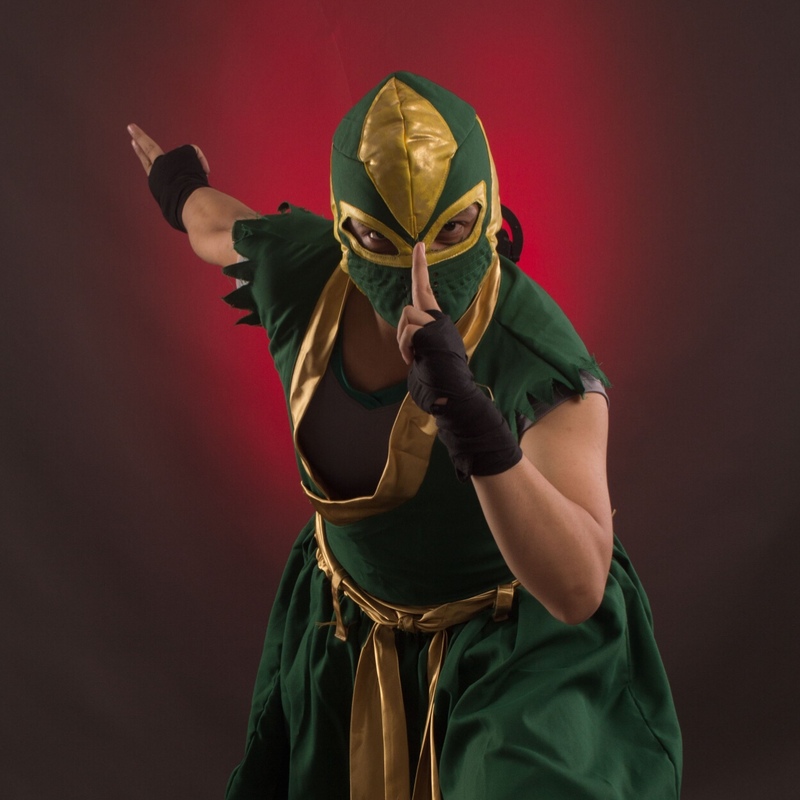 Ninja Ryujin is a relatively unknown quantity in the wrestling ring, but we've seen glimpses of his potential at MWF's HisCON performance last year. Can the riverside warrior show off the mettle to take down his big-mouthed foe this Saturday? The moustachioed Gigz Stryker is an early favourite here in the Smark Henry offices for his intriguing origin story as the Philippines' last action hero, in the vein of Fernando Poe Jr., Robin Padilla, and George Estregan. We've seen him wield a rugged ground-and-pound game in the squared circle, and are intrigued how far his skills have evolved in the past few months. 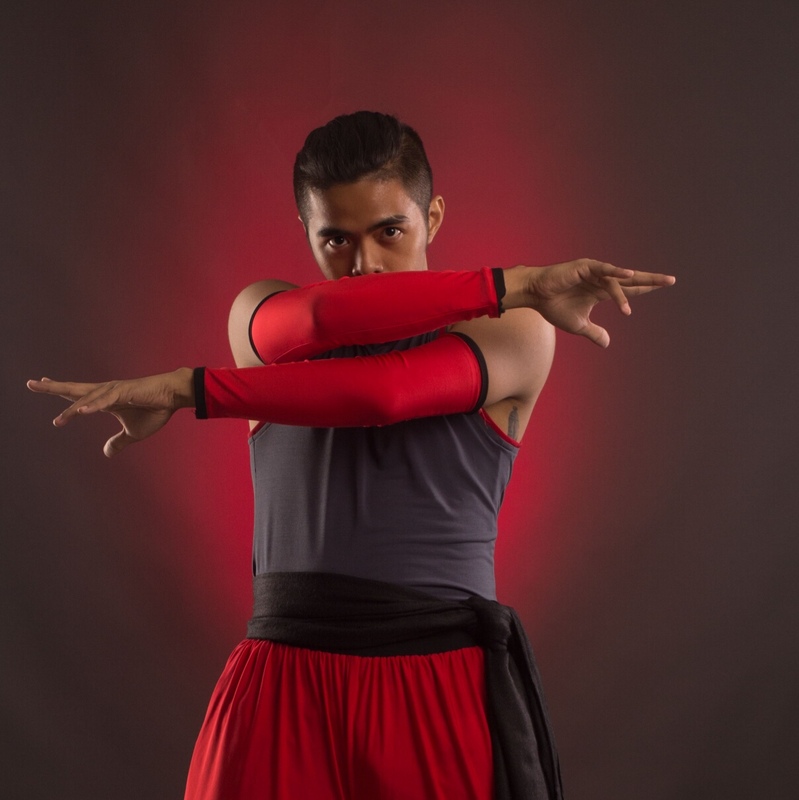 Facing him will be one of MWF's big-fight wrestlers, Rex Lawin, who's heavily entrenched in both the local kickboxing and mixed martial arts (MMA) scenes, and participates in several tournaments a year. We have no idea what to expect from the dude, but he's probably got the most legit credentials in the company today. Morgan Vaughn is comparatively new to the pro wrestling game, but don't let his youth fool you. 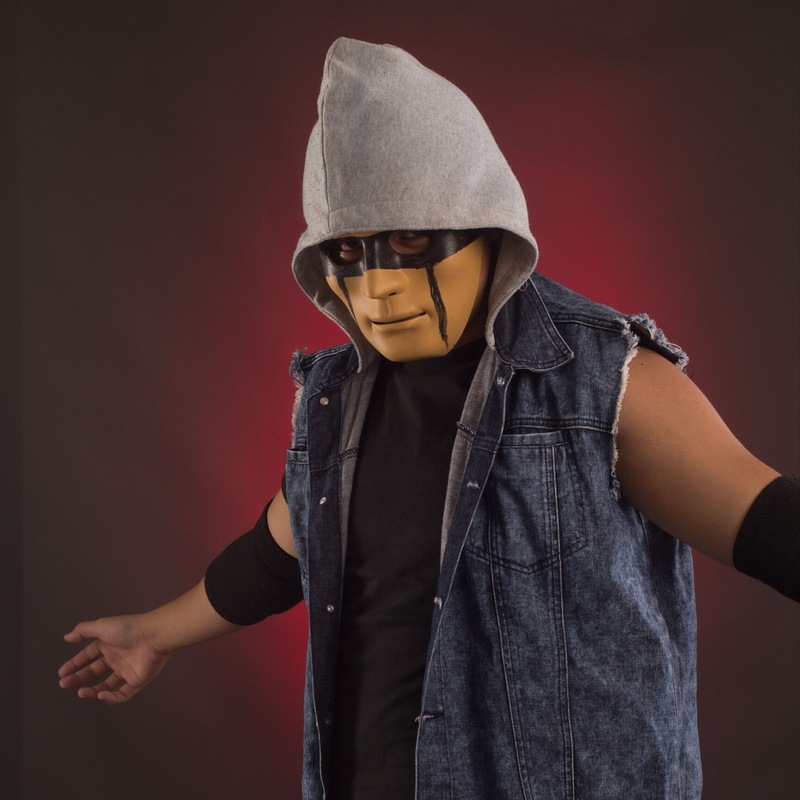 This promising young graduate from MWF's House of Wrestling training academy is one of the company's hardest grinders behind the scenes, and is out to define both himself and his generation in the process. He'll be going up against a scrappy fellow product from the House of Wrestling, Frankie Thurteen, who represents the disenfranchised millenial. Apathetic, he's a midnight wanderer who sees both chaos and potential. He's an outsider who, like many of us, wants nothing more than to prove his worth inside a wrestling ring and will do that by any means necessary. 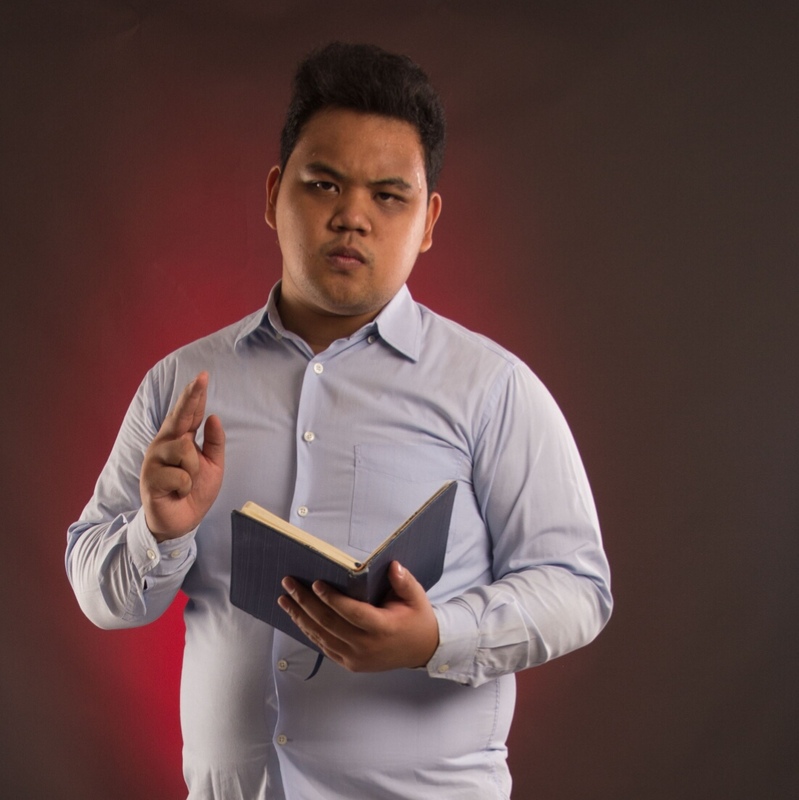 The bulky Moises Liwanag is yet another product of MWF's in-house program, and looks set to spread his personal gospel in a pro wrestling ring. He's easily one of the larger talents in the promotion, and should provide an interesting contrast to the high-flying theatrics we've seen from other MWF talents in the past. Company rookie Hanzello Shilva will be providing opposition for Liwanag in this match. He's a cunning warrior who wants nothing more than to prove himself. He's looking at the MWF as the place to bring out his fighting spirit and excel in a sport he's been passionate about since the day he was born. Apart from the in-ring gladiators, get set for some other intriguing characters to make their debut. Other names we'll get to meet include Commissioner Mike Shannon, the brains and inspiration behind the formation of the Manila Wrestling Federation, and one of the more charismatic, electric characters we've seen yet. 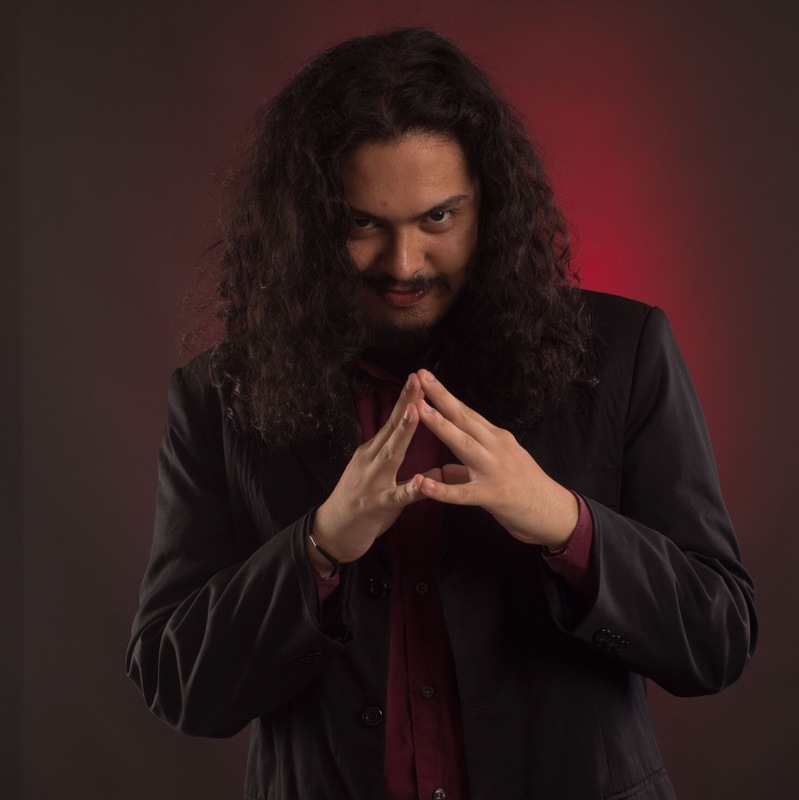 The man clearly has a vision for what the Philippine contribution to the global pro wrestling culture will be, and probably has a greater stake in MWF's success than anyone else in the country. The inspirational life coach Gus Queens will also be making an appearance. He's a man with big plans to shake up the company's main event scene in the coming months. The exotic Tala Haliya will also be introducing herself to the MWF faithful this Saturday—we don't know what kind of action she'll actually be participating in, but from the teases we've seen of her in the past, we know she can make her mark among the boys with the spinning headscissors she's flashed on occasion. Which of these matches has you most excited, fellow smarks? Let us know your thoughts and expectations, and we'll see you at MWF Live on Saturday! MWF Live: MWF x MCS is happening Saturday, April 8, at the Makati Square Arena on Chino Roces Avenue, Makati. Tickets cost P250 and can be purchased at the gate. Doors open at 3 PM, with the actual card tipping off at 4 PM. Manila Wrestling Federation is a Manila-based sports entertainment group, specializing in professional wrestling. The MWF offers a colourful cast of wrestlers and exciting, competitive in-ring action the whole family can enjoy! Photos by "Fabulous" Francis Lumahan.